Dogs are popular pets and with more than 300 different varieties to choose from; one is literally spoiled for choice. 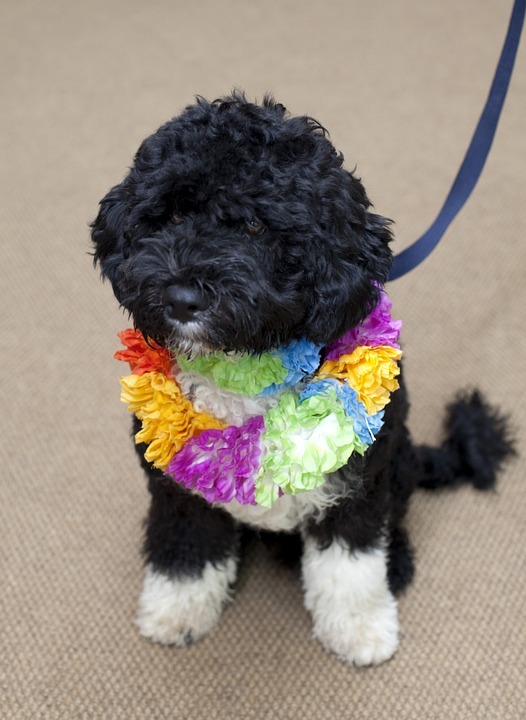 One of the popular breeds is the Portuguese water dog breed. Once obscure, this breed is now an important part of show rings and American households. 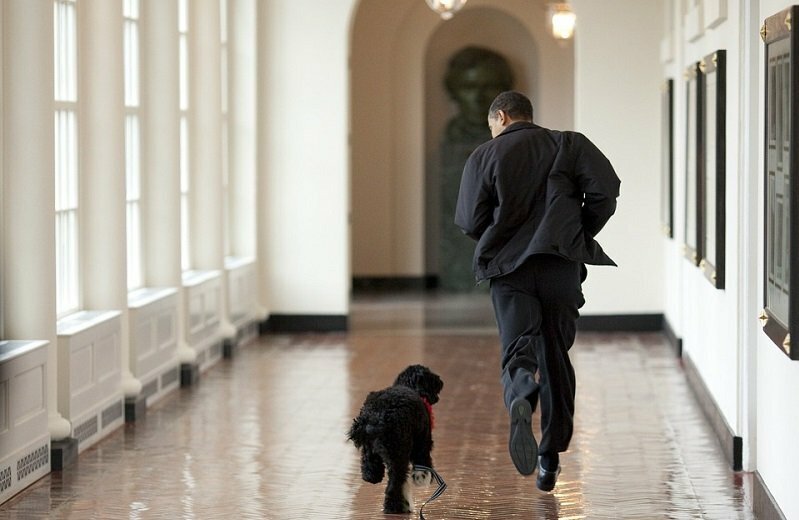 Thanks to the Obama family, these hypoallergenic dogs are highly coveted by potential pet owners. Let us study their characteristics, price and other important factors of owning a PWD! 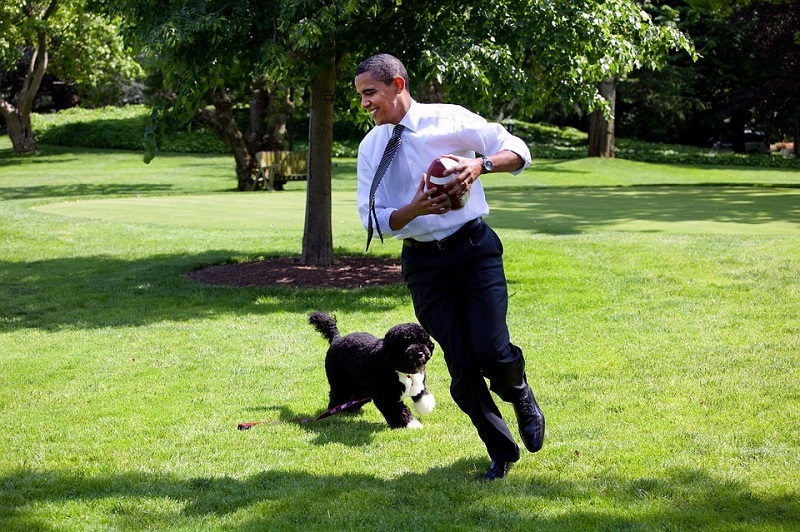 In 2009, President Barrack Obama and his family welcomed a cute Portuguese water dog named Bo into the White House. The breed may have originated from dogs living in the border areas between Russia and China. Nomadic warriors brought these dogs down south to Spain and Portugal and thus originated the beautiful fisherman’s dog breed. Apart from bringing fish to their handlers, Portuguese water dogs were also taught to carry messages between boats at sea. They would even keep an eye on the fish caught and brought back to land. 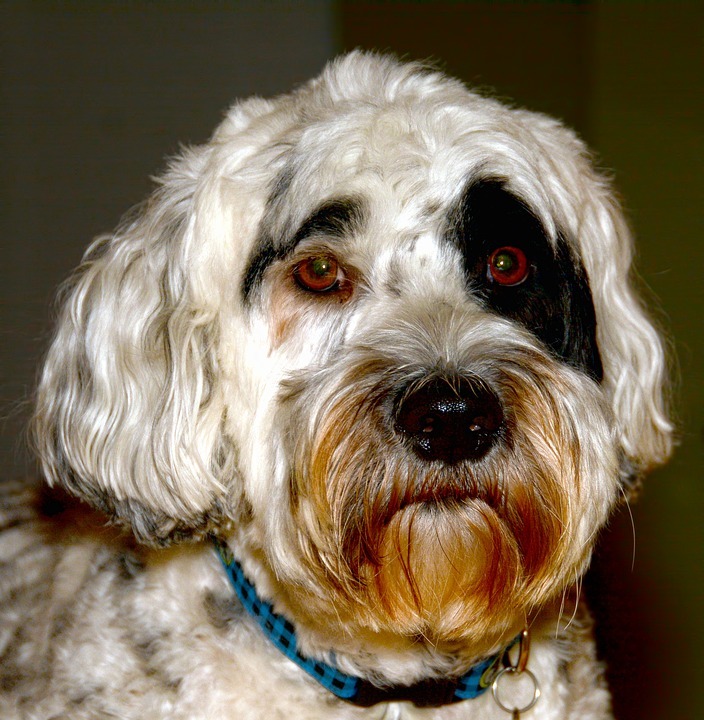 Portuguese water dog size– These are medium sized dogs. Males weigh between 42 and 60 lbs while females weigh between 35 and 50 lbs. Height of males is in the range of 20-23 inches and females in the range of 17-21 inches. Their coats are of two types-curly or wavy and you can find them in black, white, black and white, brown and brown and white colors. In Portuguese language, this dog is known as cão de agua or dogs of the water. Average life span of the PWD is 12-14 years. Where to buy your Portuguese water dog puppy? If you are looking for a cute, friendly and affectionate dog, then a Portuguese water dog puppy may be the perfect for you. Naturally, you’d want a healthy pet with a good temperament. So it is important to look for reputed Portuguese water dog breeders nearby. The official website of the PWCA or the Portuguese water dog Club of America can help you find the best PWD breeders in your city. Alternatively, a vet can direct you to good breeders or you can visit dog shows and talk to handlers of Portuguese water dog breed. When you visit a puppy litter, look for playful, curious puppies; they should be friendly and willing to meet people. When you adopt a dog, you are doing a great service to the world. 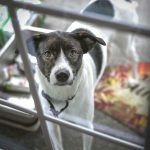 However, adoption from a rescue center can come with a fair share of challenges. You must ensure that the puppy/adult dog is not fearful or shy and that s/he won’t bite. There are some tests to ensure good temperament and health. Speak to your vet or a breeder before taking a decision. 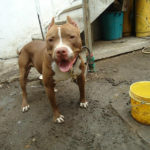 This is a fun loving breed that is sure to bring lots of love and laughter into your life. They are affectionate graceful dogs with distinct personality and spirit. As long as you socialize your Portuguese water dog, s/he should not have any problem bonding with kids and other pets. Note that they are not harsh but do not mistaken them to be docile; your pet can be extremely brave when the time arises. They are known to be aloof with strangers but great with children. Ideally, training should begin the moment your puppy enters your home for the first time. Do not be harsh with him; patience, love and consistency will help remind him of who the boss is! This is an intelligent animal that responds well to gentle commands. He is observant and has keen grasping powers that will amaze you. During training, avoid shouting, hitting or punishing your PWD. Remember that all dogs usually respond well to stern yet polite training combined with treats and praise. If possible, get your pet enrolled in a dog obedience school. PWD is an energetic breed. Therefore, daily walks, running and playtime are a must for your buddy. Always place your pet on leash while walking; they love to run and won’t hesitate to do so. Being water dogs, these fur babies love swimming. Swimming is a fantastic exercise for dogs as it is easier on their bones and keeps their joints flexible and agile. Games like fetch are also great for your PWD. 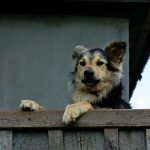 You can feed wet or dry dog food or kibble; but always consult a vet or a reputed breeder regarding the best brand of dog food. Home cooked food is also a great option but make sure your pet gets balanced nutrition. Remember to always keep clean, fresh drinking water for your Portuguese water dog. Always ensure that the food and water bowls are kept clean as bacteria and viruses can accumulate on them which could make your pet very sick. 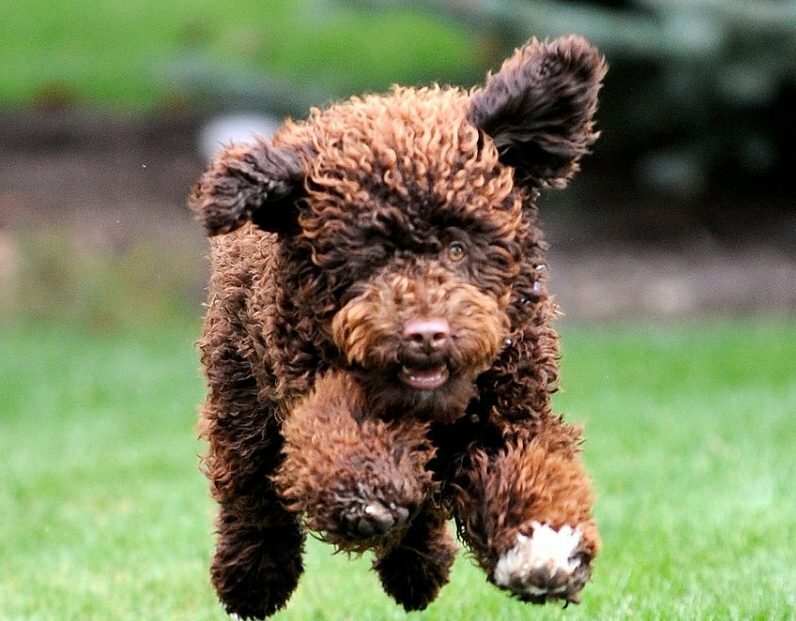 Portuguese water dogs are considered to be hypoallergenic. They shed very little which makes them suitable for people with allergies. (Please note that most pet allergies are caused by pet dander and not by discarded hair. So even if you have a dog that does not shed too much, you could still experience allergy symptoms, in case you happen to be allergic.) The little shedding that occurs in this breed takes place once a year. Their hair does keep growing, so you will have to trim it now and then. Brush and comb your pet’s coat daily. Shampoo your buddy once or twice a month-depending on how dirty or smelly he gets. Always use vet approved shampoo for the job. You must regularly clip your pet’s nails; your vet or a professional dog groomer can guide you in this aspect. Clean your dog’s ears from time to time and also brush his teeth regularly. Inherited diseases in the PWD include hip dysplasia, progressive retinal atrophy, and Patella luxation. Regular vet checkups, good diet, exercise and loving care can help keep your pet-owner relationship rewarding for years to come. Red Nose Pitbull – Fighting Dog or Family Pet?